Gastric problem can be embarrassing if you have this. It could be painful at times especially when you felt a burning sensation down under your stomach. This could be felt during early pregnancy or during periods for some women. In this article I will try to give a comprehensive view about gastric problem. In here, we will discuss the symptoms, causes, how to treat / cure gastritis and how to avoid gastric problem. These are simple home remedies that you can do as a solution to this condition and it can help you on how to stop or how to get rid the pain when it occurs. It may not be the best solution for gastric problem but at least it can help you lessen the pain. Ginger Tea or herbal tea. Herbal teas such as blackberry, raspberry, chamomile and mint. Drink this after every meal, they promote good digestion. Baking soda. Put one teaspoon in a glass of water then drink. This will give you instant relief. Lime juice with cider vinegar. In a glass of water put some lime juice and cider vinegar then drink before every meal. It will promote good digestion thus help you to remove the pain after meal. Don’t skip meals and don’t eat too much either. Balance your food intake. Control your weight or else you’ll resort to gastric bypass. Exercise to distress. You can try yoga exercises to release the stress hormones on your body. Yoga can help you calm your senses. Avoid spicy, fatty, and acidic food. If you think you are doing the things above and symptoms of gastric problem still persist, then you should see your physician before anything else could happen. Your physicians still know what’s best for you. 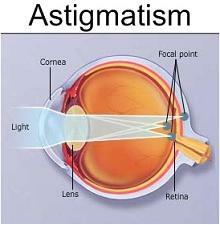 What is Astigmatism, Symptoms, Causes, and Treatment?